Robert P. Holland completed a Master of Divinity from MTSO, a bachelor's degree from Marietta College, and is an ordained minister with the Assemblies of God. 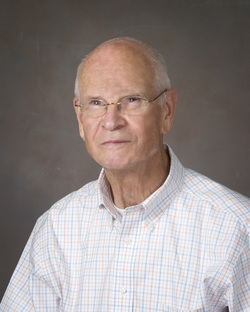 He served as senior pastor from 1965 until 2002 and since then as associate pastor. He is a faculty member of the Appalachian District School of Ministry (AD-SOM), teaching the Pentateuch, Romans, Eschatology, and Psalms. The Wisdom and Promise Study Bible is Robert’s third book. His first book, Some Understand 1 + 6 = 7, was published in October, 2010, and his second book The Chosen Fast and Prayer was published in March of 2012. He and his wife Dolly, also an ordained minister, have been married fifty-seven years, and have two married daughters, three grandchildren, and two great grandchildren. Robert and Dolly enjoy practicing the Chosen Fast and living on their wildlife refuge. The Bible is a composition of several covenants or agreements which the Lord initiated with Adam, Noah, Abraham, Moses (Old Covenant), David, and Christians (New Covenant). Therefore, since the Bible is a Book of covenants in order to understand the message of the Bible, it is necessary to understand the covenants. Covenants contain four categories: Wisdom—Promise and Foolishness—Curse. The Wisdom and Promise Study Bible illustrates by the technique of color coding the contrast between Wisdom and Foolishness and the relationship between Wisdom—Promise and Foolishness—Curse. 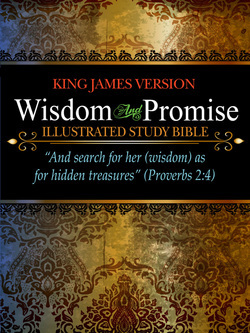 The Wisdom and Promise Study Bible will also help you search for wisdom as for hidden treasure, maintain the proper balance between wisdom and promises, always associate faith with faithfulness, choose the way of wisdom and life, avoid the way of foolishness and death, delight yourself in the Lord (Isa. 58:13, 14), and receive the desires of your heart (Ps. 37:4)—continual fellowship with God our Father and Lord Jesus Christ (John 14:15-18, 21, 23). Comparing the Chosen Fast with the Traditional Fast and the Daniel Fast and relating them to prayer, Robert Holland’s second book is a masterwork that explores the many false assumptions that Christians have about fasting. The Chosen Fast, specifically, can be spiritually understood as wisdom in its highest form, causing us to not only know what Jesus wants of us but also causes us to lovingly obey him, follow him in our daily lives, and live in the kingdom of heaven until He comes. Holland’s thorough and enlightening examination of fasting covers these illuminating topics: Old and New Testament Fasts including Public Fasts, Individual Fasts, and Forty Day Fasts; the Traditional Fast (weekly); the Daniel Fast (both 24/7/365 and twenty-one days); the Chosen Fast (Love Thy Neighbor, Promises, and Love the Lord and 24/7/365); the Chosen Fast and Prayer (Prayer bloopers, asking, and listening); and the Chosen Fast and Matthew 25. Transforming prayer to a 24/7/365 paradigm, the Chosen Fast is an entirely different—and spiritually rewarding—way of living. Filled with love and reverence for the Lord and the Bible, Holland delivers a joyous celebration of faith filled with hope, commitment, excitement, and faith. His fundamental understanding of the fast and the ease with which he imparts its principles open up an old topic in an entirely new way. 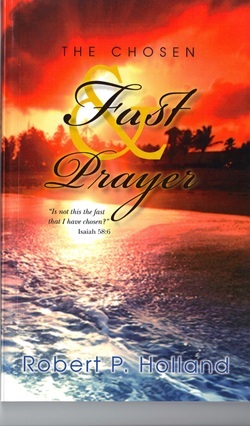 An easy to use guide to fasting and prayer, The Chosen Fast and Prayer will inspire you to make fasting a regular part of your spiritual discipline and devotion. 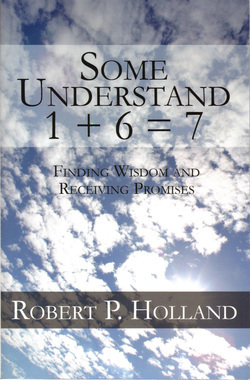 Some Understand 1 + 6 = 7 is instructions for finding wisdom and receiving promises: Wisdom + Promise = Covenant. At the beginning of each chapter is a Wisdom and Promise Workshop. The Workshop is a search for Wisdom as hidden treasure (Proverbs 2:4). The remainder of the chapter is a practical application of the wisdom and promises found in the Workshop. The forty-four chapters, two pages each, cover a wide range of basic topics from both the Old and the New Testaments. By searching for Wisdom as hidden treasure and studying the practical applications in each chapter, you will be equipped to search for wisdom, receive the promises and make the same practical applications to your own life. The person who meets the Author while reading His Instructions and does what He says receives from Him what He has promised. It is like 1 + 6 = 7.